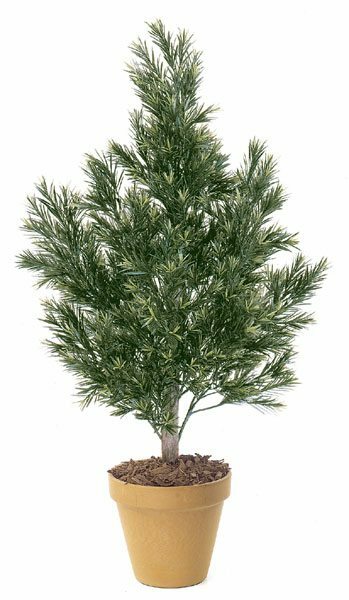 4 Foot x 36 Inch Width Artificial Green Podocarapus Topiary Bush-Natural Trunk. Our Topiary looks wonderful in any room. Includes Plastic Container.